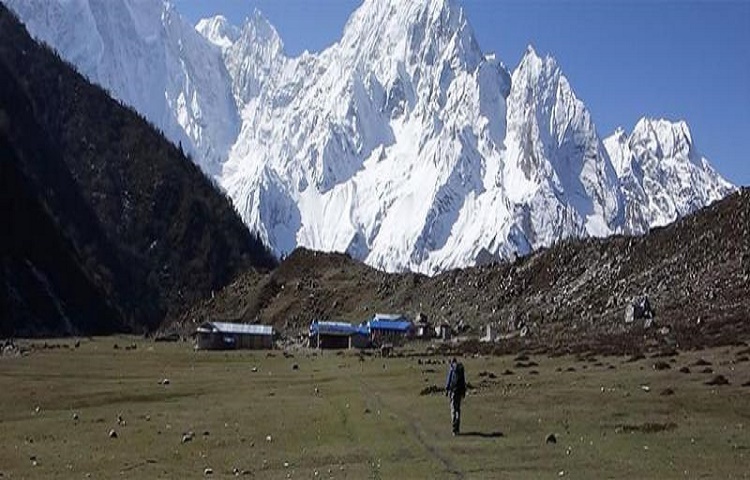 Tsum valley is a sacred Himalayan pilgrimage site hidden in the northern Gorkha. Surrrounded by Buddha Himal, Himal Chuli, Ganesh Himal and Sringi Himal, Tsum valley is one of the most secluded and world’s remotest Himalayan valleys which was just opened to outsiders to 2008. So trekking has been just recently opened. 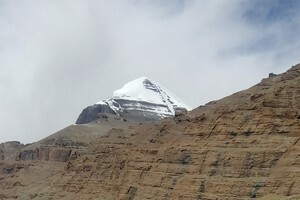 The word “Tsum” starts from the Tibetan word “Tsombo” whih means “vivid”. Still less exposed in comparison to other areas this region is relatively virgin and less beaten paths. Inhabited mostly by people of Tibetan origin this valley still carries history of ancient Himalayan civilization styles; culture, art, tradition, religion, customs and thinking. It’s natural and cultural beauties are enough to fascinate anyone. Tsum Valley trek begins after a drive from Kathmandu to Arughat, starting point of the trek. Passing Liding, Machhakhola, Jagat, Philim and some of other beautiful villages we will reach Tsum valley. Most of the trail goes through the bank of Budi Gandaki River. The path takes you through beautiful forest, terraced fields, tropical waterfalls and hilly villages. At high altitudes we will pass through alpine forests with rhododendron, glacial river and friendly local people. We retrace the same path from Tsum and return back to Kathmandu via Arughat. 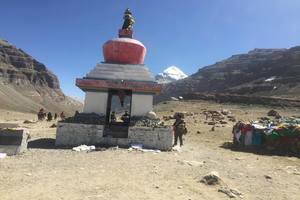 You can see numerous Chortens, Gumbas and Mani walls made of thousands of stone slabs carved with drawings of deities and inscribed with prayers throughout this trek. This valley offers very clear and fabulous mountain view of Ganesh Himal range, Sringi Himal, Bauddha Himal and Himalchuli. Bypassed mainstream development for centuries unique culture of this valley still remains intact. People follow the system of “Polyandry’”- many brothers marrying a single young girl, in a family. You can see the ancient monasteries. This trek gives you a taste of truly secluded, hidden and ancient culture. We cross the bridge over Budhi Gandaki and begin our trek. We pass through the hydro- electric power plant, fields of rice and millet to Mangaltar, and through forests we arrive at Shanti Bazar. The way to Budhi Gandaki valley now becomes steeper and the trek more difficult as we cross the Arkhet Khola on a suspension bridge, passing the shops of Arkhet Bazar. Descend to a high, cascading waterfall making a long steep slog up a ridge to Kuerepani. Then from here the trail descends to Soti Khola. Overnight stay at the campsite at Soti Khola. Overnight at Soti Khola. After having morning breakfast we cross the bridge and trek through the beautiful Sal forests, then climb onto a ridge above huge rapids on the Budhi Gandaki. The rocky trail then weaves its way up and down, past two tropical waterfalls on a steep, rocky trail clinging to the side of a cliff. After that we reach Gurung village Labubesi then we Climb behind a rocky outcrop, where the valley opens and the Budhi Gandaki meanders among wide gravel bars. Drop to the sandy river bed and walk along rounded stones before climbing over a side ridge. Head down again to the river and stay at Maccha Khola village. Overnight at Maccha Khola. The narrow trail makes some minor ups and downs and eventually crosses the Tharo Khola, flowing in a rocky ravine, then reaches Khorlabesi. After a few more ups & downs there is a small trailside hotspring, from where we reach to Tatopani. From the Hot spring we climb over another ridge, then cross the Budhi Gandaki on a suspension bridge. Climb on a wide, well-crafted staircase, then across a landslide and over a ridge to Dobhan. Crossing a suspension bridge over the Dobhan Khola, the trail climbs on a rugged trail to Duman. Ascending up again to the Budhi Gandaki, we reach at Yaru Khola. Crossing a suspension bridge over the Yaru Khola we climb the stone stairs and then drop to the river and again climb more stone stairs to Tharo Bharyang. After that we reach to Jagat. Overnight at Jagat. After completing with the ACAP procedure, we ascend to rocky ridge to Salleri, and then descend to Sirdibas. The valley widens a bit as the trail continues up to Ghatta Khola. Then we Climb up to Philim, a large gurung village. Philim valley is well known for Japanese made school and police station. Walk past Philim to the north across a forest with the views of the narrowing valley we reach Chisopani. Overnight at Chisopani. After having early morning breakfast we pass through Ekle Bhatti then cross the gorge and half an hour walk in the right side we get to see the big and beautiful waterfall and enter the pine tree forests. Descend down to trail going to the Tsum Valley. We ascend through pine and rhododendron forests. 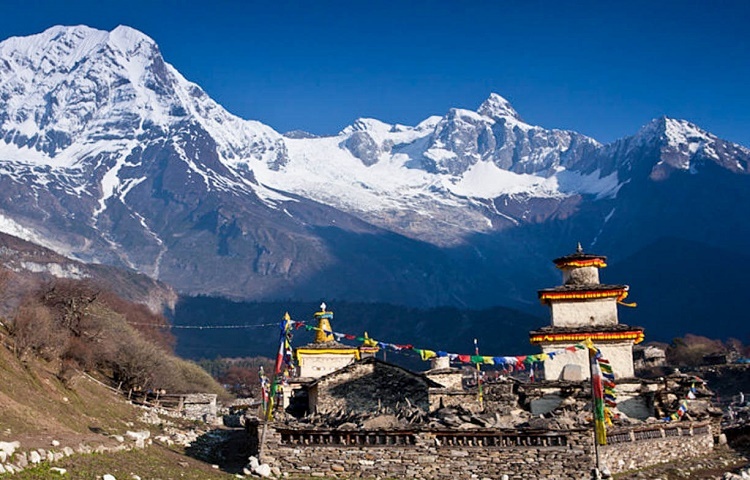 Enjoy the views of Himalchuli mountains at 7893m and Boudha Himal from Lokpa, a small beautiful village. Pass Lokpa, descend half an hour towards Lungwa khola and climbing jick jack difficult trail further two hours north through pines and rhododendrons we reach Gumlung. Crossing the Siyar Khola, finally arrive at Chumling, from where we can view Shringi Himal.After then visit the old Chumling gompa, and the stone streets of the village. After having breakfast we start our journey today as we cross the suspension bridge onto the opposite bank. Enjoy the great views of Ganesh Himal. Walk past Rainjam to Serpu Khola crossing another bridge we arrive at the Gho Village. Another continues 2 hours climb to Tsum takes us to the village of Chhokangparo. 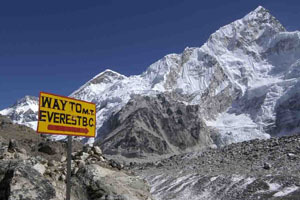 Weather permitting; enjoy the views of Himalchuli at 7893 meters and Ganesh Himal at7140m. Overnight at Chokhangparo. While climbing above Chokhangparo, better to be careful of altitude problems. Walk past Lamagaon crossing rope suspension bridge to the Rachen Gompa, which is also well known as Nunnery Gompa too. We make a small visit and then we cross the Shiar Khola. Continue walking through the well managed villages Lar (micro hydro power), Phurbe and Pangdun. Leaving old historic Stupa of Bhudda in a way crossing the village of Chhule, climb upstream and cross the bridge to finally arrive at Nile. 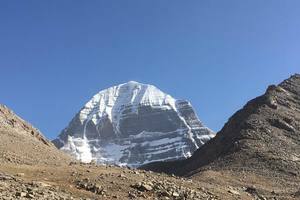 If you consider we can make your visit to a famous monastery of Chhule which is located in the top of area. Overnight at Nile. Trek back through Chhule and Phurbe, on the east bank of the Shiar Khola. Finally we arrive at Burgi village. The Burgi village is a small beautiful village. Climb up to the Milarepa's Cave Milarepa Cave (piren phu) is known for its mesmerizing glimpses of Poshyop Glacier, Kipu Himal and Churke himal. Overnight at Burgi villlage. 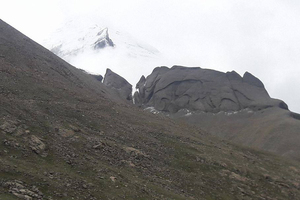 Continue trekking watching the greenery of nature and descend down to Chhokang Paro again. From their continue descending to Gho. Descending further, we arrive at the bridge over the Sarpu Khola. Trekking along the lower Tsum Valley takes you to again Chumling. Overnight at Chumling. The trail continues to Lokpa. After lunch south on a flat trail we move ahead. Enjoy the gorgeous Samba Falls. 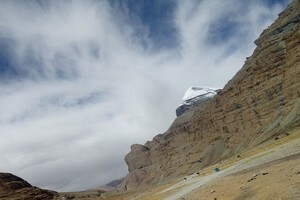 Finally arrive at Philim after 6 or 7 hours long trekking. 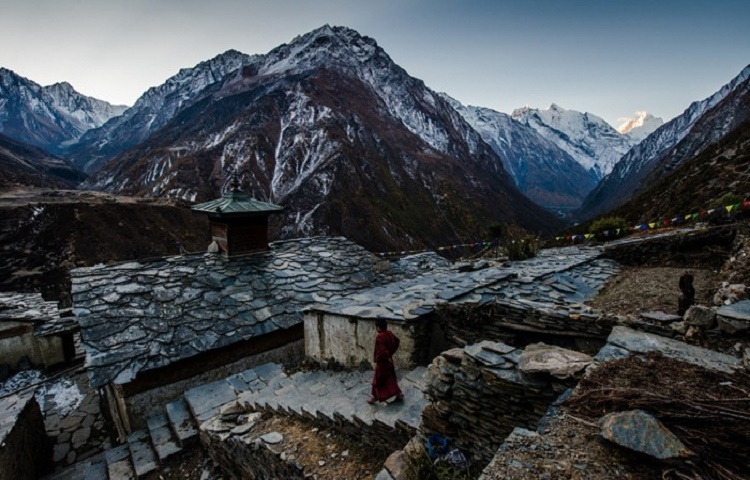 A trail passes through the Phillim village that leads to the Ganesh Himal Base Camp. Overnight at Philim. The trail crosses the Tharo Khola flowing in a rocky ravine. Head down again to the river and traverse to Machha Khola village. Walk along the Budhi Gandaki River to reach to Gurung village of Labubesi. Pass the two waterfalls on a steep rocky trail on the side of a cliff. We then reach Khursane. Walk along the ridge above Budhi Gandaki and cross the Sal forests. Finally, cross the bridge to arrive at Soti Khola. Overnight at Sotikhola. Early morning we climb up to the ridge of Kyorpani. Descend down to the cascading waterfall. Trekking further arrive at Arkhet. Cross the Arkhet Khola. We are now leaving the Budhi Gandaki Valley. Arrive at Sante Bazaar; pass through the forests to Maltar. Finally, passing by the hydroelectric plant following the stone streets, we arrive at the Arughat Bazar. Back to Kathmandu along the banks of the Marsyangdi and Trishuli rivers with splendid views of green hills, mountains, farming terraces and villages on both sides of the road. Onto arrival at Kathmandu we will have a farewell dinner for the successful trekking journey. Overnight in Kathmandu.